Why choose MyTub for Kitchen Sinks supplies? Contract pricing and quantity discounts available on Kitchen Sinks, our contracts department can also aid in specification if needed. 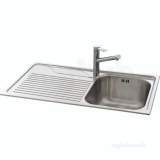 We supply Kitchen Sinks in fitting with any kitchen style, these come in left, right and reversible layouts. 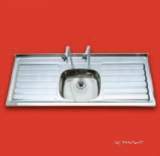 Inset, Undermount or Flushmount, Granite, Stainless steel, Ceramic & composite sinks. The sinks supplied are made from the finest materials to the highest standards. 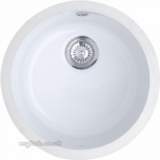 Franke, Sissons, Pland, Astracast and Carron are just some of the designer sinks we have available. Browse and be inspired - safe in the knowledge that we are able provide a full pre and after sales service.